For this girl, who grew up loving Pollyanna, Anne of Green Gables, visiting Upper Canada Village and touring homes built way before my time, it's no surprise that going to antique shops is one of my favourite things to do. The furniture, accessories and knick knacks all make me smile. Though I may leave the store empty handed more often than not, I will never tire of visiting antique shops whenever I get a chance. 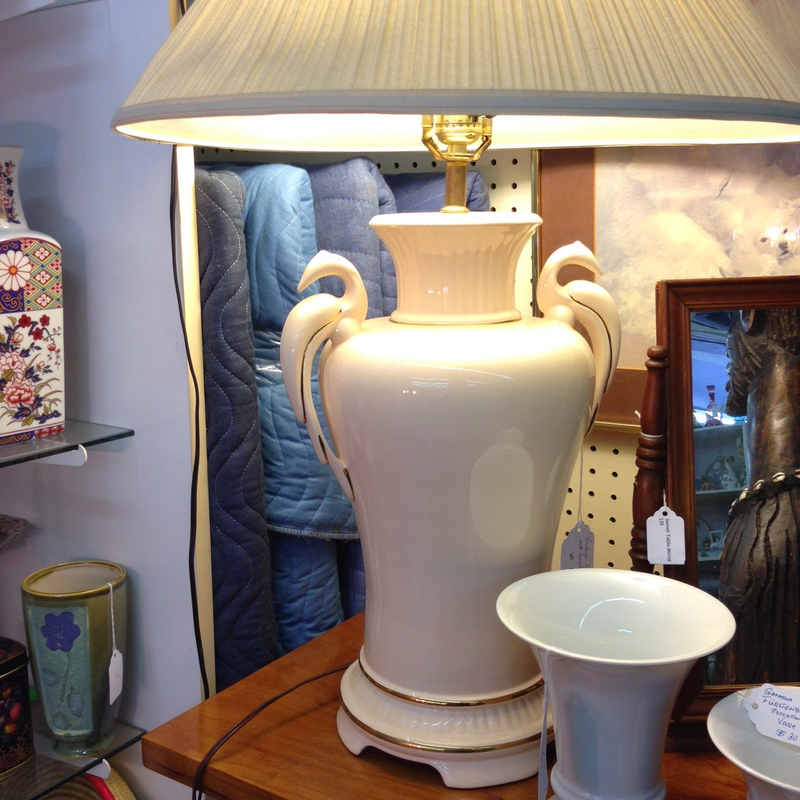 I had a chance to visit a couple of our local shops last week, which were full of fabulous items. It can be so hard to resist purchasing more than what I went for. Taking photos is pretty much the next best thing! 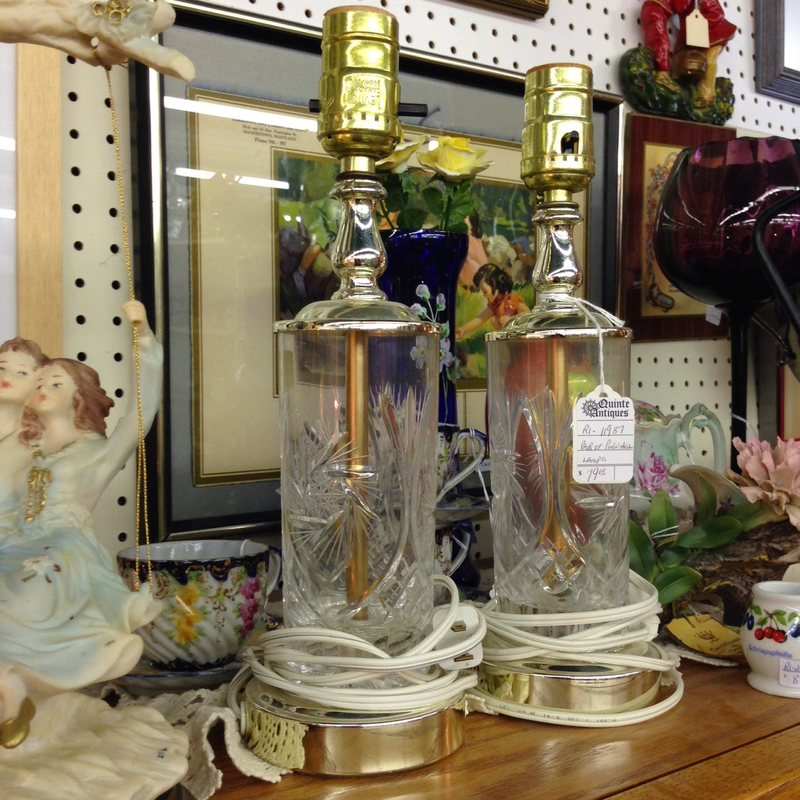 I adored these crystal lamps, which just so happen to match Grandma's pinwheel crystal that we inherited! 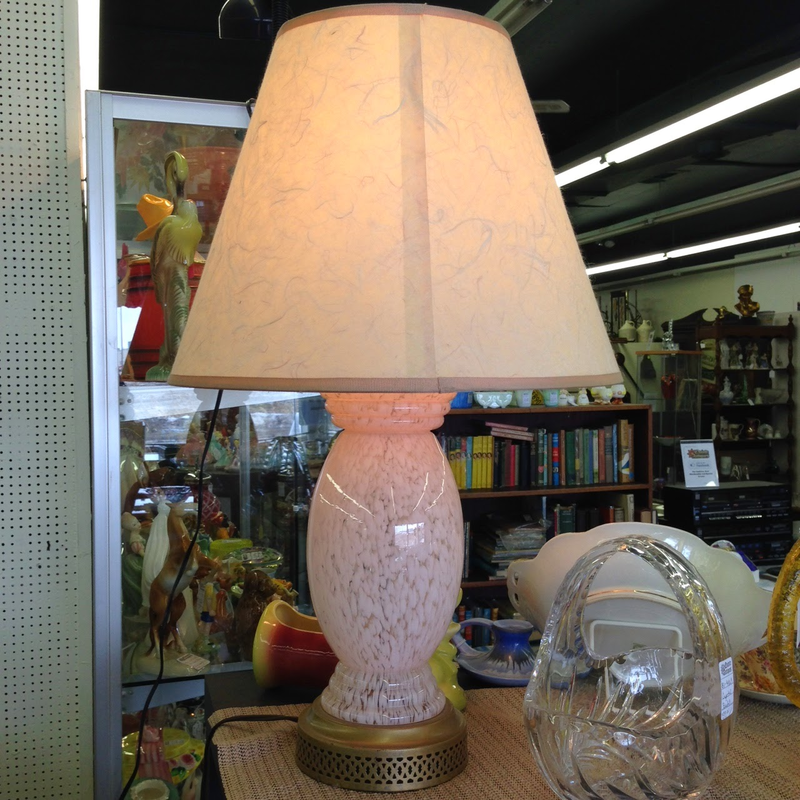 This lamp caught my eye, it's fabulous! Gorgeous curves and beautiful gold detailing. Still trying to figure out where I could use it so that I have an excuse to go back for it! 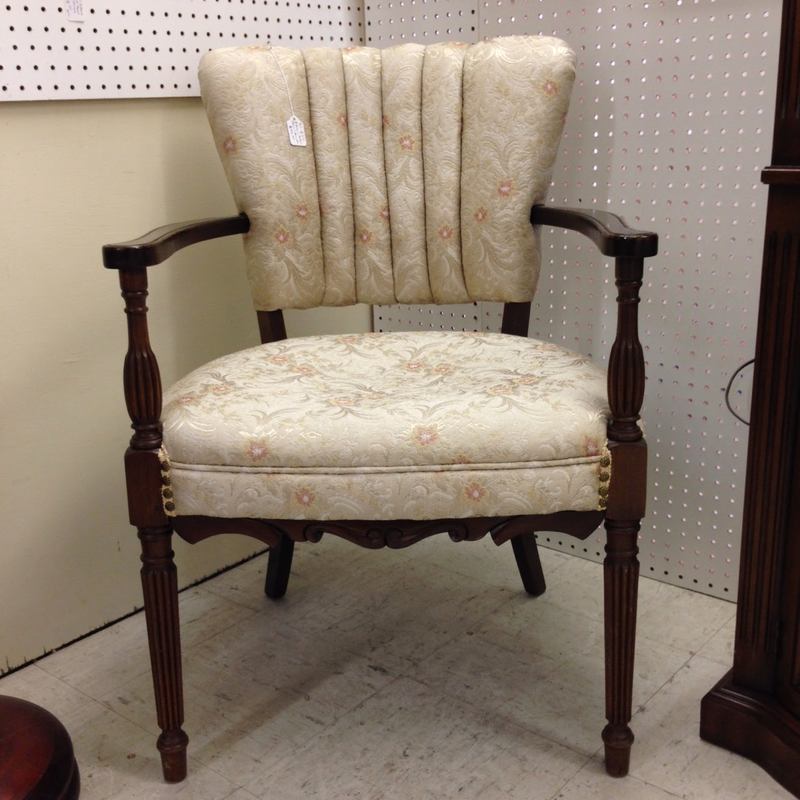 This chair was sitting right by the front door and was one of the first pieces I fell in love with. Perfect for the hallway, living room, any place really. But, here's what's important. I gave it a good wiggle and it felt like it was about to buckle. Always test out the furniture to see how sturdy it is. Look can be deceiving. Perhaps it just needed some glue here and there, an easy enough fix, but something to remember. I can't for the life of me figure out why these crystal light fixtures are still at this store (they've been there for a long time now). They are gorgeous! Though sometimes it hurts to paint antique or vintage pieces, sometimes it's well worth it. I adored these two demi lune tables and pictured them with an off white finish and some gold foiling. 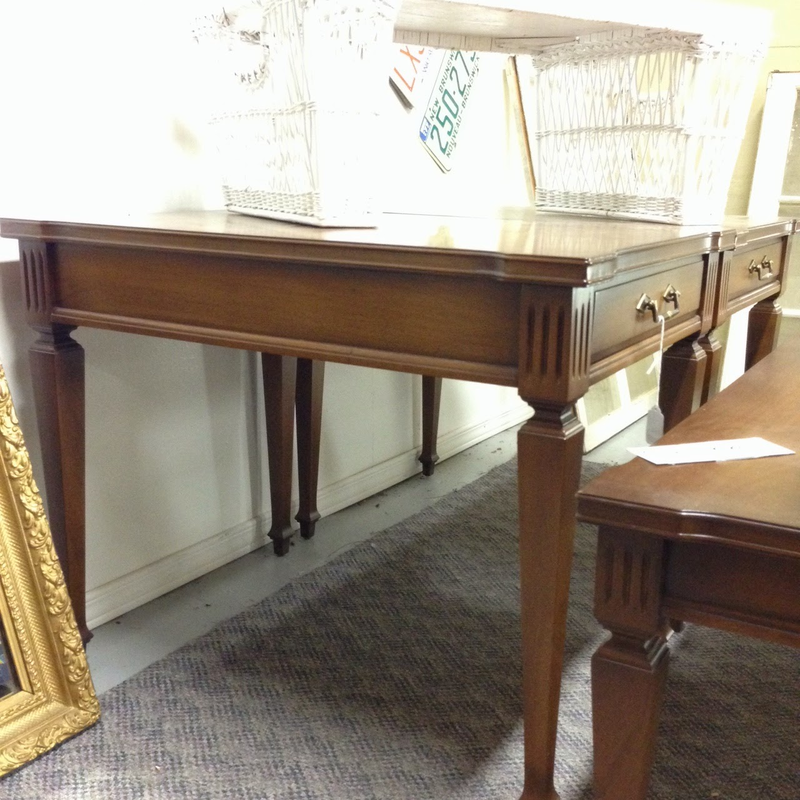 Another set of tables that have beautiful lines and details. The frame to the left isn't so bad either! It's so fun to think of where these pieces came from and the story behind them. It takes time to go around the stores because there is usually so much to look at and to go through! I often go around art least twice and am always surprised by how much I missed the first time around. 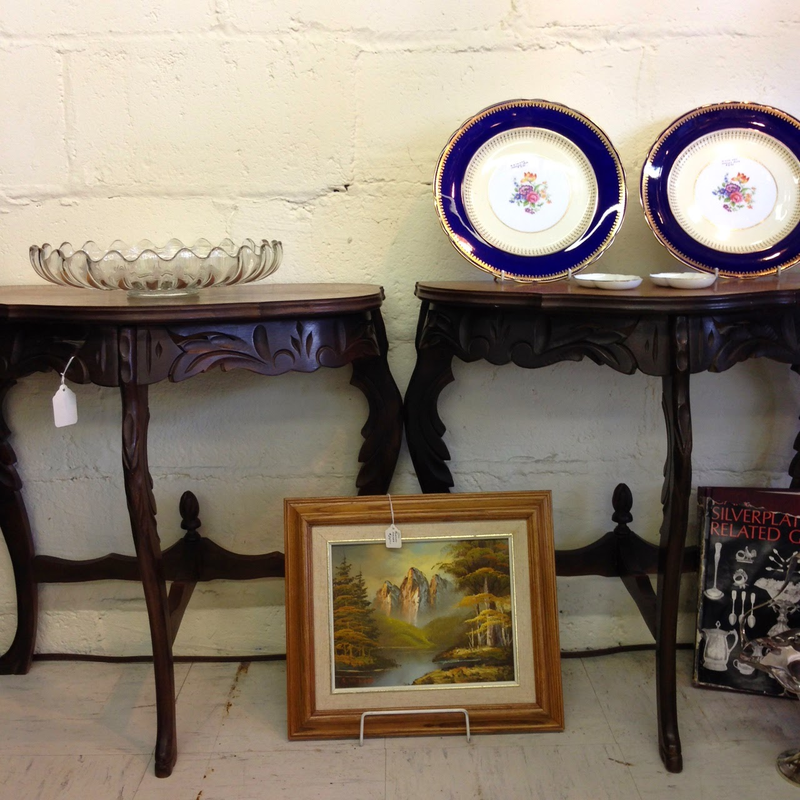 Is antiquing something that you love to do as well? So funny, I just talked the other day about how much I loved to watch Pollyanna when I was little for Aunt Polly's house. :) Great finds. 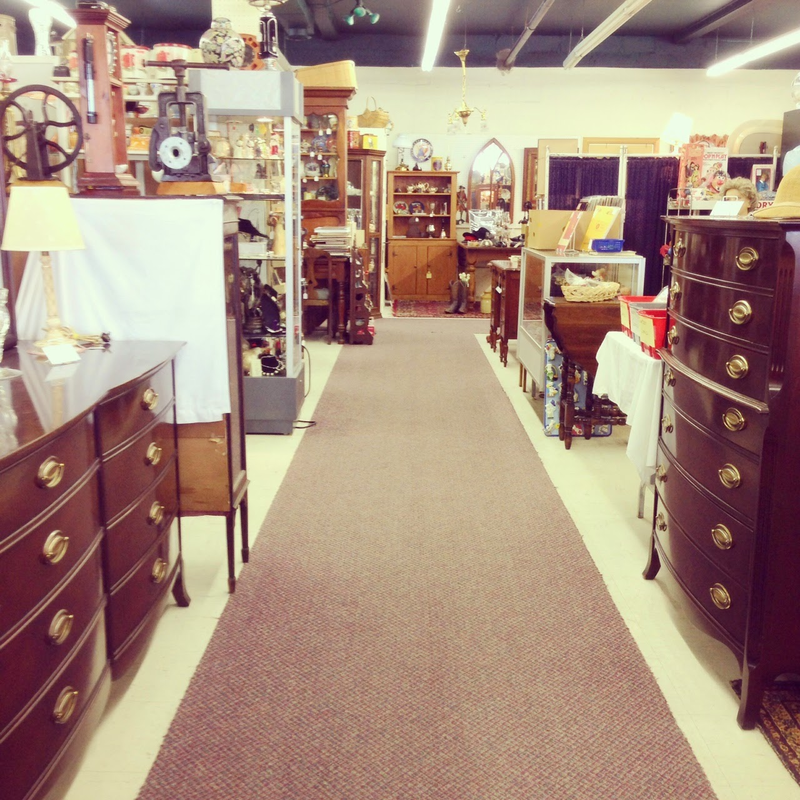 Nothing makes me happier than walking thru an antique store. Love those light fixtures! Hard to pass them up. How much were the two matching ones to the right? You know that I'm obsessed with antiquing and vintage shopping...I could do it all day every day!! I love antiquing! 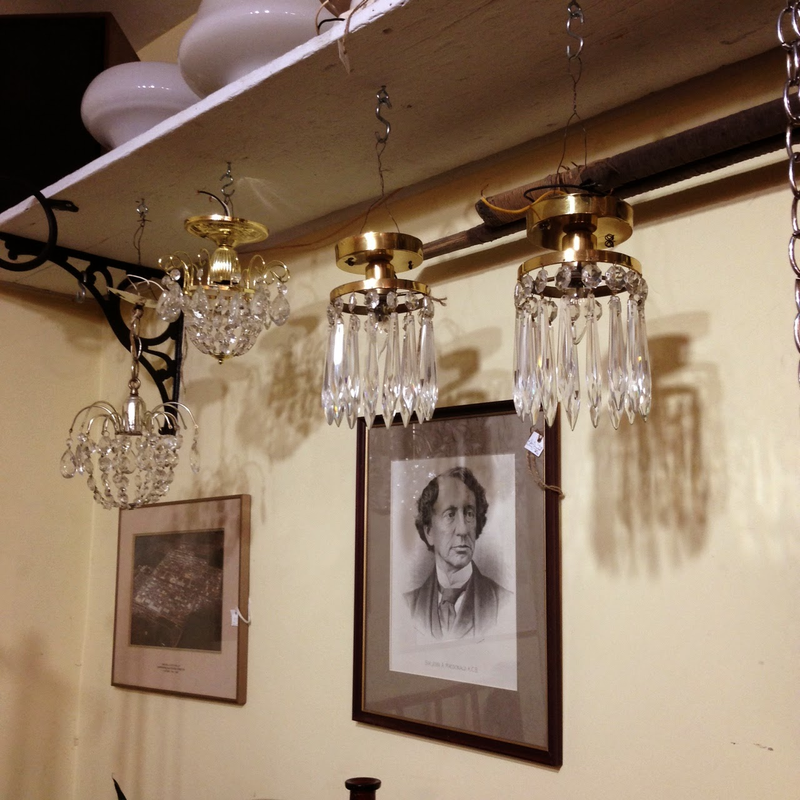 My most recent find was a gorgeous pair of brass wall sconces that I'll be using in my dining room makeover.